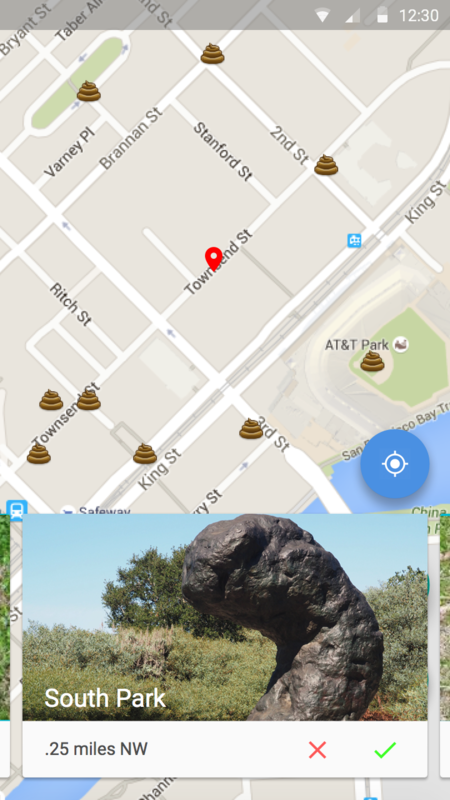 Turds are actually running rampant all over San Francisco, so much that there is a real turd patrol. In retrospect I should have used an approach that measures how terrible the air is around certain areas to locate the turds, since just plotting them on a map is not really feasible. Designing for Android is a lot different than iOS since there are universal back buttons and sub menu buttons.